(1) An object kept as a reminder of the inevitability of death, such as a skull. "He placed the picture in his room as a memento mori"
(2) The medieval Latin Christian theory and practice of reflection on mortality, especially as a means of considering the vanity of earthly life and the transient nature of all earthly goods and pursuits. (3) The brand new E.P. by Victor And The Bully. Still dark, but a lot more fun than the other two definitions. Yes, they're back! 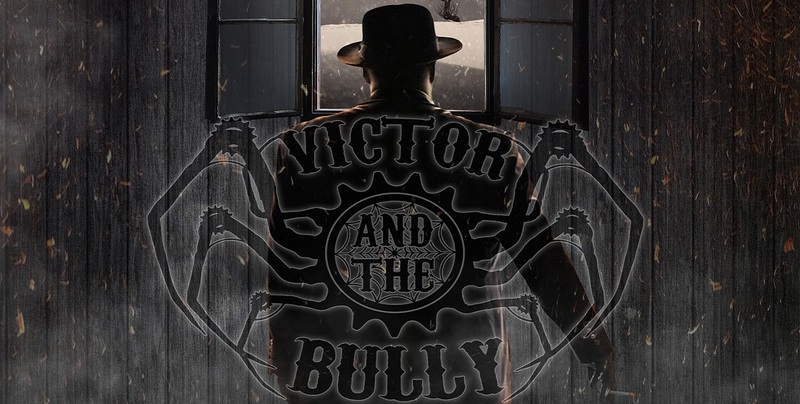 Everyone's favourite Demonic Duo, Victor And The Bully, have returned to light our nightmares with their own inimitable brand of fearsomely funky Gothic grooves. 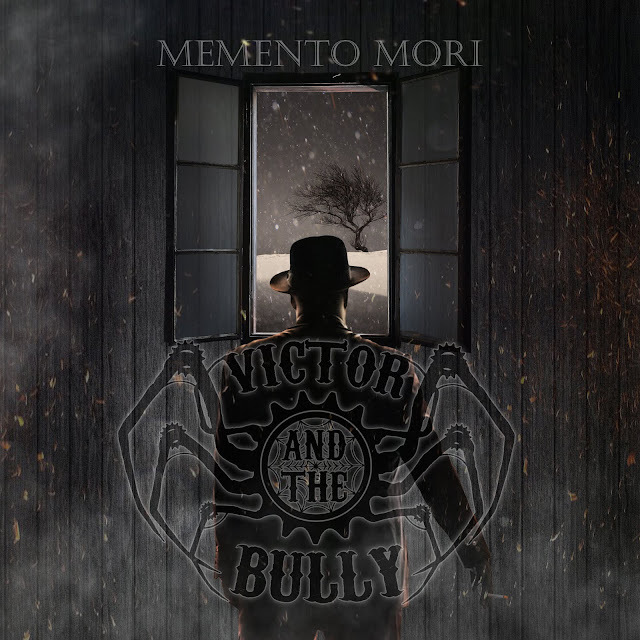 "Memento Mori" their new 'Hellectro Swing' E.P. serves as a worthy successor to their second album "8th Deadly Sin" and as a tease for their next release. This mini-album gives fans everything they'd expect from the band that brought us "Deathbed Confessions" but they've upped the electronica and funk, after the great success of tracks like "Devil's Got My Soul" and the devilish ditty that made me a fan, "F.R.E.A.K.S." 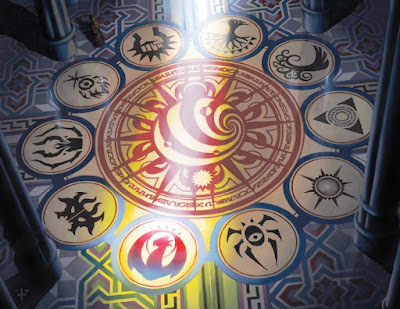 I've followed the band since their 2017 collaboration with our old friend Professor Elemental. I had to get both their albums after hearing "F.R.E.A.K.S." and am now a confirmed Sinner. The event that really cemented my respect for this great duo was catching them live in London at the end of 2018. These guys are incredible on stage! Their energy and the way they draw the crowd into their performance is fantastic. Their addictive blend of rock 'n' roll, music-hall, folk, jazz, steampunk and horror is totally my cup of tea. As you can imagine, when the opportunity presented itself to preview their new E.P. before release, I grabbed it with both claws! There's so much to enjoy on this E.P. First of all it's great value, containing seven brand new tracks. It has all the energy and life affirming morbid magic that the boys have always given us. The fantastic part is that, while still familiar, there's definitely musical growth and a new energy present. The band have been clever by shaking up the status quo slightly, but not in a way that will alienate Sinners of long-standing. Memento Mori opens with the up-beat "Home Is Where The Crazies Are." Lots of great brass and piano, mixed with more of the pumping beat reminiscent of "Devil's Got My Soul." The added strings and electronic symphonica are a little different to what we've been used to, but still totally V and B. "Ghost To Me" has become a firm favourite. From the first listen it brought back horrible memories of toxic relationships gone by. Another foot-tapper with a killer disco beat. I got flavours of Freeez and the music I used to listen to back in the 80s, when I carried around my beatbox and spun around on the lino. Both B Boyz and Beelzebub Buddies will love this. I cannot wait to hear this one live! 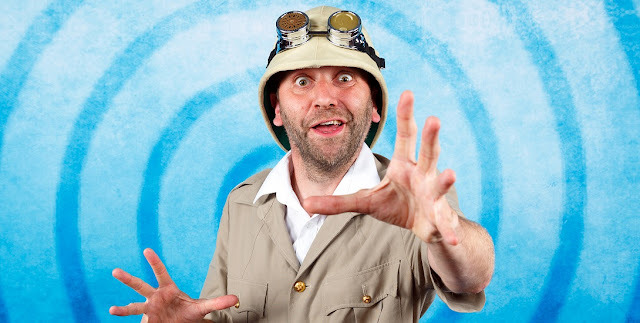 "Doctor Jazz" is a track that Professor Elemental could easily pop into an extended remix of. This song is jazzy, fun, and funky as all get out. This song is a little special too, as it features a guest vocal performance by Victor Brian Rogers, our Victor's Grandad, who sadly passed away ten years ago. Now his dulcet tones will live on forever. Thank you, Victor Sr.
D.I.S.C.O. - Devilish. Intoxicating. Swinging. Catchy. Original. "Devi's Daughter" is unapologetic disco at it's finest. This one's so funky that Chic and Boney M could be brought to their knees, worshipping at the altar of Victor And The Bully. "Spooky 365" is another nostalgia inducing funky phantom-fest. This one has a fantastic ska feel, which reminds me of one of my all-time favourite bands, Madness. This one needs a music video ASAP! Another sure fire 'Arms in the air' floor-filler at their live shows. "Midday Drinking" is a jazz and funk mash-up. This one's got brass and great hip-hop scratching. The fusion is smile inducing, and as intoxicating as the subject matter. The E.P. closes with the atmospheric and introspective "Am I." On an E.P. where every track could easily be a hit single, this one is my favourite. 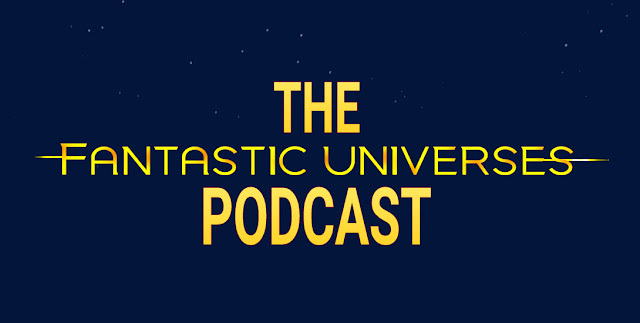 The boys have created brand new music which also transports the listener to a bygone era. This is amazing! I get nuances of Ultravox, O.M.D. and even the Pet Shop Boys from this one. The way the song is totally 21st Century, yet evokes the vintage electronica of the 80s is an absolute joy. Younger listeners may not get any of these references, but will experience some vibrant and vital new music instead. I've had this E.P. for five days now and have played it almost on a constant loop. If you're already a fan, then this mini-album will not disappoint. Existing Sinners may just feel a new tempo and vibrancy from the boys, but will still recognise the band they know and love. New listeners can come into this collection not knowing a thing about Victor And The Bully, but will leave knowing that they may have found a permanent addition to their playlists. My son, and fellow contributor to this site, loves this E.P. as a man in his twenties. I adore it, as a man in his extremely late forties! Victor And The Bully are respectful of a very rich past, whilst being a shining beacon, promising a bright future all at the same time. In a time where almost everything on the radio is dull, soulless, lifeless, monotone drivel, it brings me joy that that there are young, talented artists out there who can still write, play and perform real music. "Memento Mori" is recommended listening, no matter your age. If this one doesn't get your blood pumping on a grey and dreary Monday morning, nothing will. The Sinners Page (everyone's a sinner. If someone tells you they're not, then they're lying. Lying is a sin... so there you go). Pre-Order the E.P. by clicking this link. The official release date, at time of writing, is March 1st 2019.